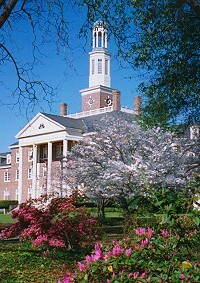 Judson College in Marion, Alabama, is an excellent school of higher education. Dedicated faculty as well as the setting of this superior establishment contributed to my growth as an individual. My major was Biology, but all studies at Judson were great. I participated in the famed equestrian program, synchronized swimming, and volleyball plus the religious activities. My profession is based on my experiences at Judson College, and I will always be grateful.